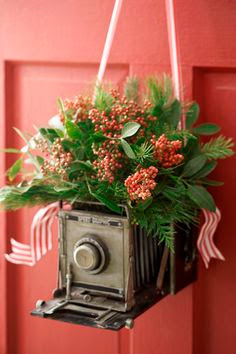 Sim, é um postal de natal, mais um, feito com carimbos da My Favourite Things e alguns cortantes para a moldura e o fundo com as árvores. Espero que gostem! 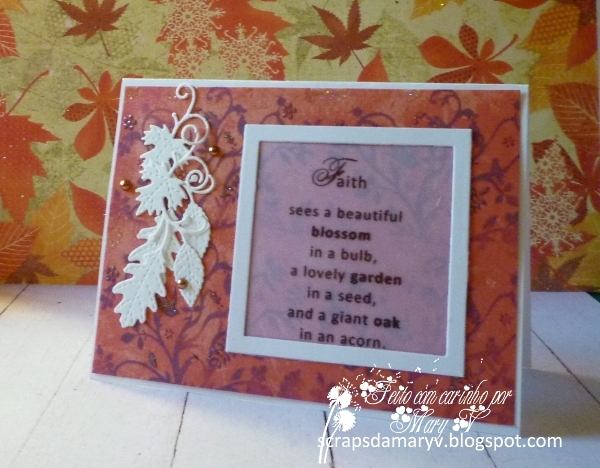 ... and yes, another Christmas card, this time with My Favourite Things stamps and a few dies for the frame and the background trees. Enjoy! Hoje o meu postal mostra mais uma cena na praia. Inevitável nesta época! Por mim, ficava lá para sempre! 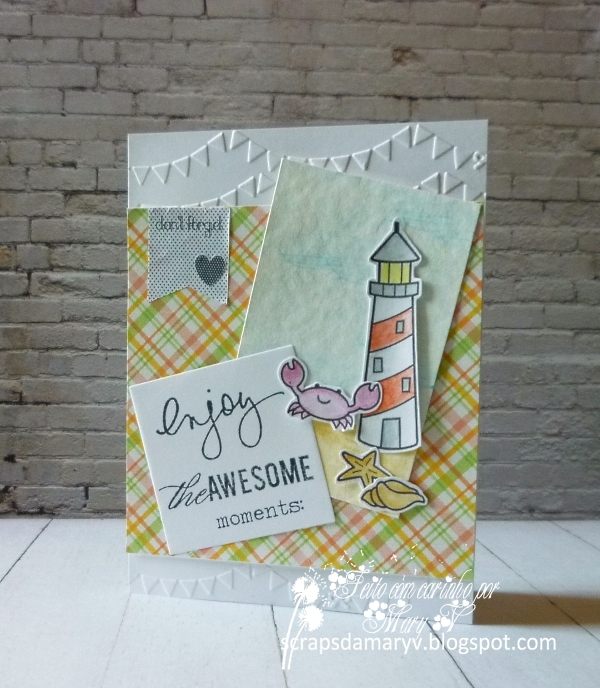 Just another beach scene card. Almost impossible to ignore! I love it and would move here this instant! Hoje mostro um postal branco sobre branco. 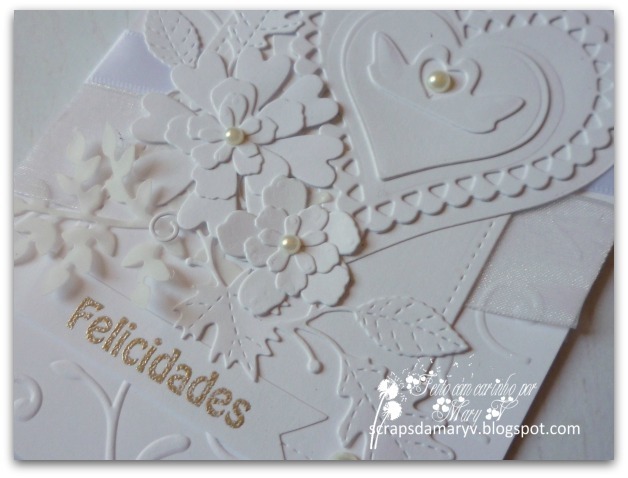 É de felicitações para os noivos e foi feito com diversos cortantes, papel branco, fitas e meias pérolas. Today I'm showing a comgratulations card. 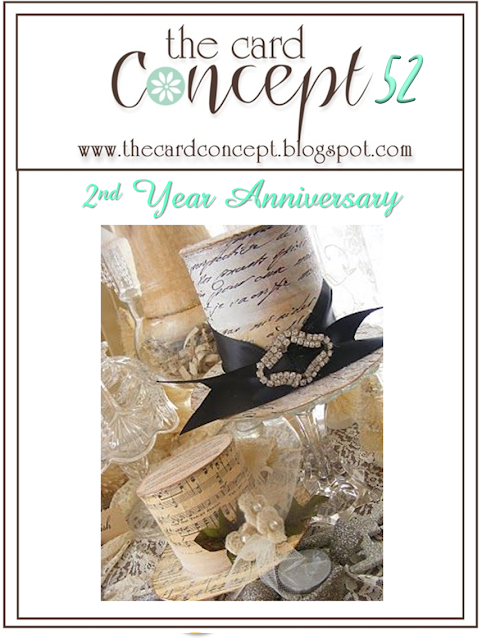 It was made wit several dies, white paper, ribbons and some half pearls. 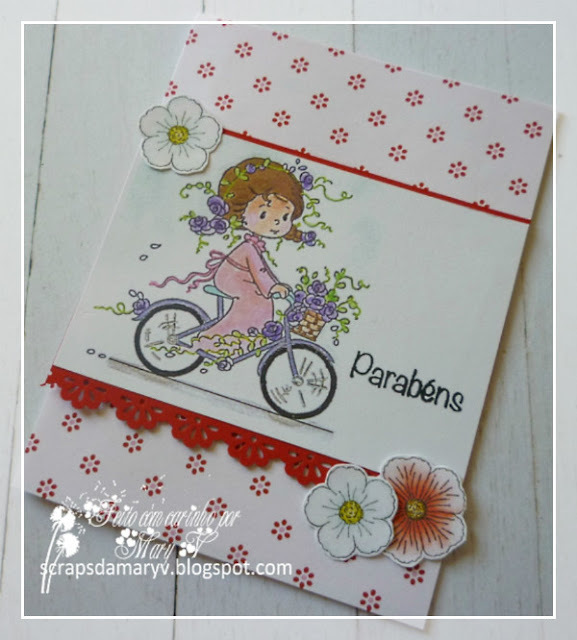 Apenas um post rápido para mostrar um postal feito com um carimbo da Wimsy Stamps chamado Roses Bike Ride. Já o tinha cá em casa há algum tempo, mas nunca o tinha usado. 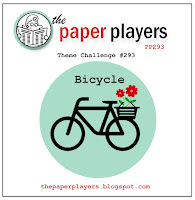 Just a quick post to show you a cute card made with the Roses Bike Ride stamp from Wimsy Stamps. I've had it for some time and just never got the chance to use it. So, here it is! 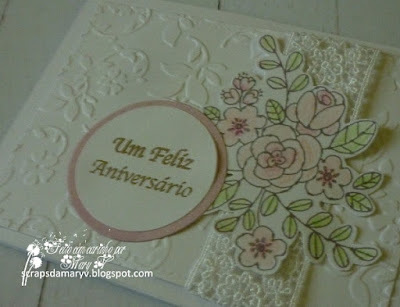 Para hoje há aniversário com bolo fantasia de flores e frutas. Apreciem! For today here's some cake with fantasy flowers and fruit. Enjoy! Hoje quero juntar-me à celebração do 2º aniversário de The Card Concept. Parabéns e espero que contem muitos mais! Este é, por isso, um postal de aniversário inspirado na foto que verão no final deste post. 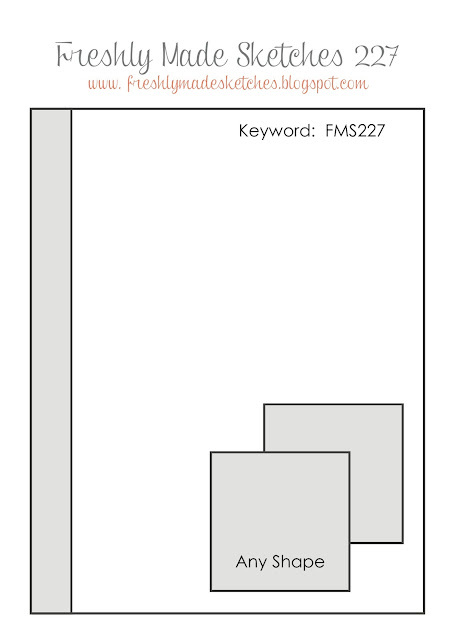 Para o layout, usei o esquema de Mojo Monday. E, como são flores e/ou fantasia (optei pelas primeiras) o tema desta semana de Cards In Envy, também participo. 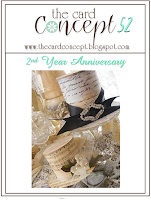 Today I've decided to join The Card Concept for the celebration of their second anniversary. 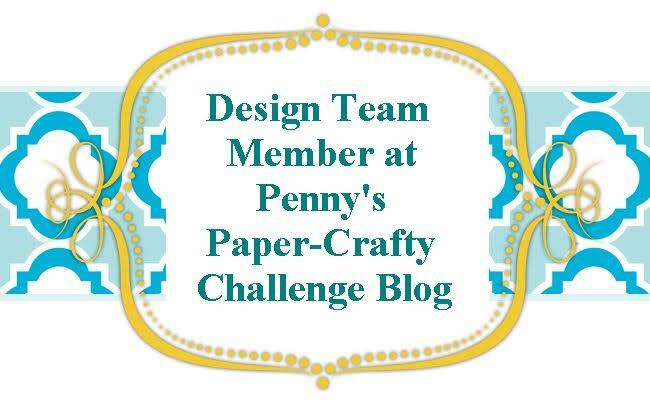 Congratulations to the members of the design team and to the creator(s) of this card challenge. 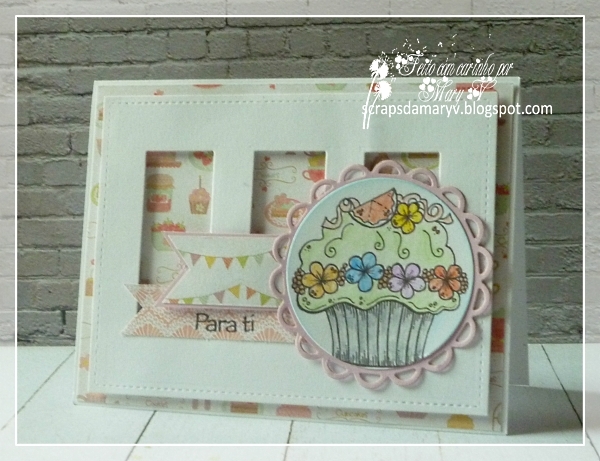 For my layered card, I was inspired by the colours and the cakes in the inspiration photo. The sketch is from this week's Mojo Monday and, because it's all about flowers and/or fantasy (I chose the first), I'm also going to enter my card in Cards In Envy. 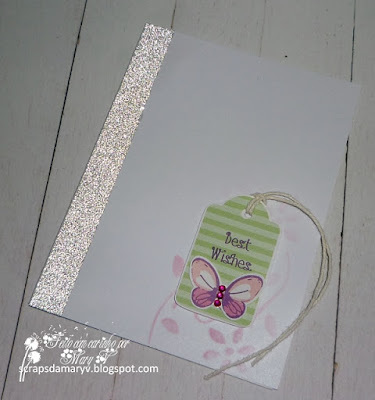 Hoje é um postal muito simples, feito com alguma fita com glitter, uma etiqueta com uma borboleta e um stencil para fazer o efeito suave que se vê por baixo da etiqueta. 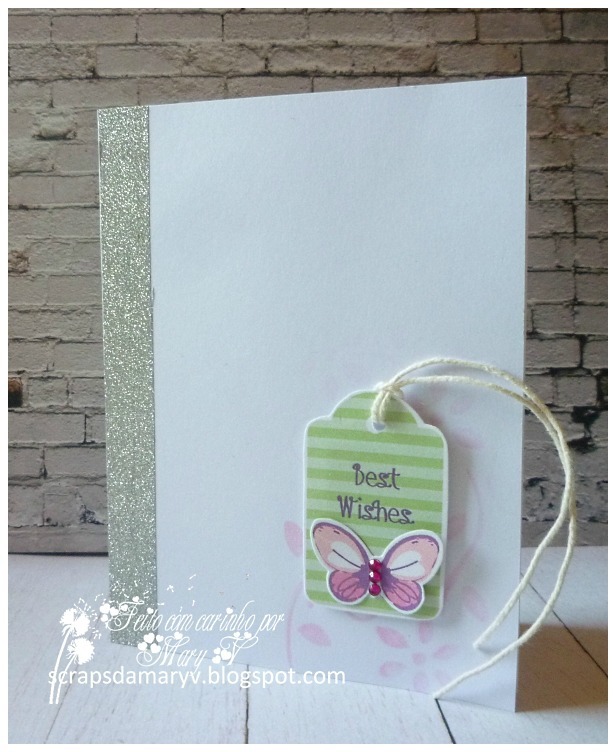 Just a clean ans simple card made with some glitter tape, a butterfly tag and a stencil to make that soft pink shade below the tag. Hoje mostro mais um postal em colaboração com Stamprints, desta vez com o carimbo digital "I love you". Embora o S. Valentim tenha sido há dois dias, queria mostrar que um carimbo deste género pode, e deve, ser usado noutras ocasiões: só para dizer olá, para aniversário, etc. Comecei por usar aguarelas para o fundo. Queria tons suaves rosa e azul. Depois imprimi os corações no tamanho desejado e recortei-os. Usei também aguarelas nos mesmos tons para lhes dar cor. Depois de recortados, foram colados no postal e foi aqui que os transformei em balões fazendo os fios com um marcador preto. Para o sentimento, usei um pedaço de papel preto no qual estampei o sentimento com tinta versamark e depois apliquei pó de embossing branco. No final, apliquei algumas lantejoulas para dar brilho ao meu postal. 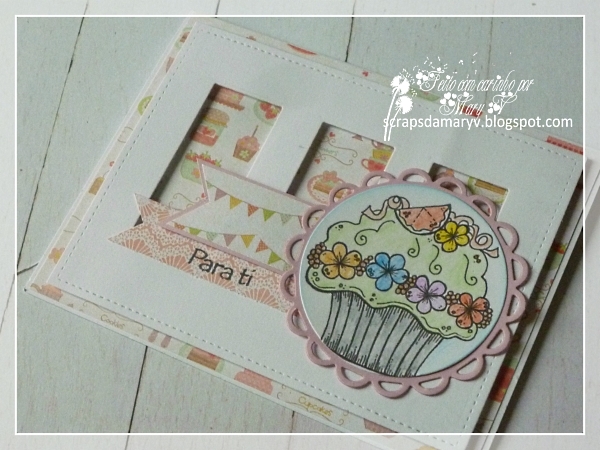 Today I'm showing you another colaboration card with Stamprints, this time using the "I Love You" digital stamp. 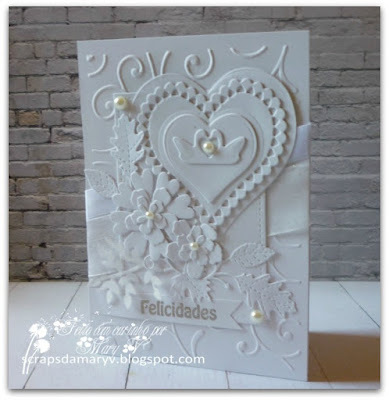 Valentine was just a couple of days ago but I wanted to show that you can use this stamp for many more occasions: just to say hello, as a birthday card, etc.. 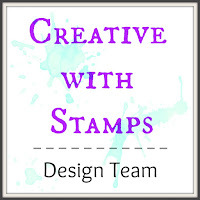 I started out by using some soft pinks and blues on a piece of watercolour paper. 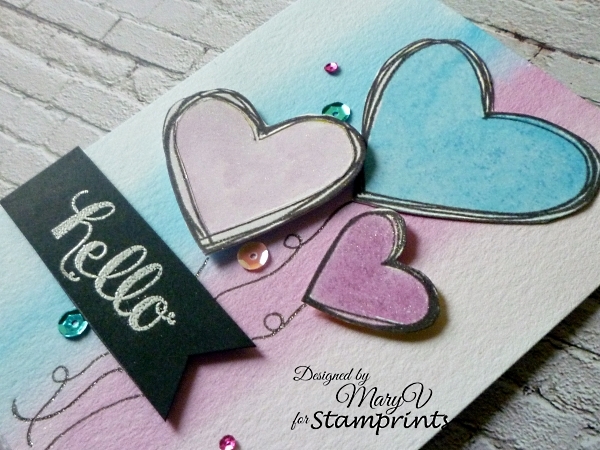 then I printed and fussy cut the hearts. I used the same watercolours in the hearts. Then I glued them onto the card and this was the moment to turn them into balloons: just by adding a black line with a marker. For the sentiment I used a stripe of black paper, which I embossed with white embossing powder. For the final touches I just used some sequins. 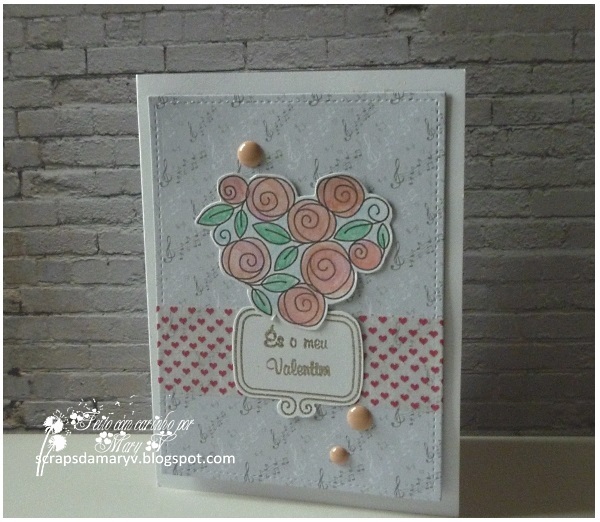 Hoje mostro um postal simples feito para o S. Valentim e inspirado em alguns desafios. 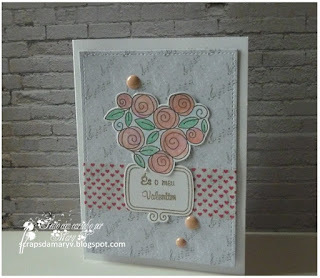 O carimbo com as flores é de Simon Says Stamp ("Roses For You"), a moldura para o sentimento é de Lawn Fawn ("Flirty Frames") e o sentimento é do novo lançamento da Docerela. Este carimbo é o "Donut Forget". 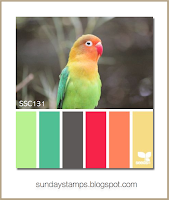 Visitem o blogue da Docerela para mais inspiração e participem no desafio que está a decorrer! 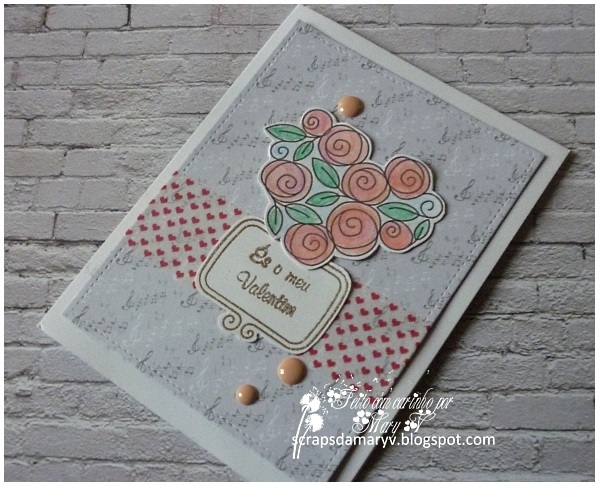 Today I'm showing you a simple card made for Vatentine's Day. It was inspired by some challenges. 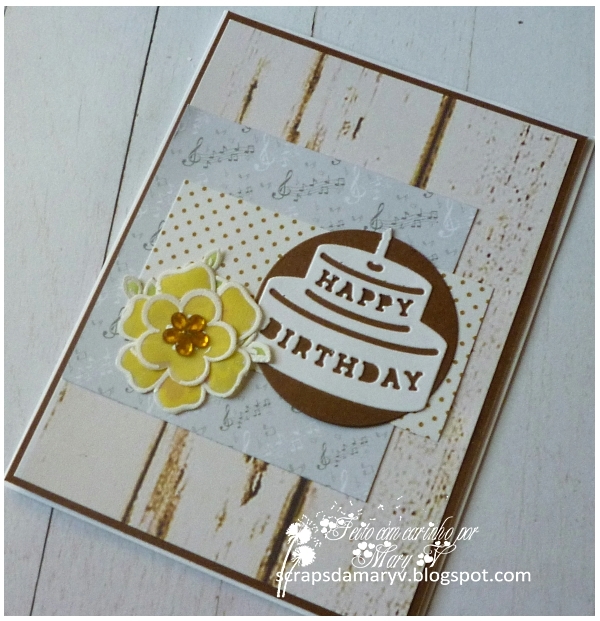 The flower stamp is from Simon Says Stamp ("Roses For You"), the frame is from the "Flirty Frames" from Lawn Fawn, and the sentiment is from the new release at Docerela. 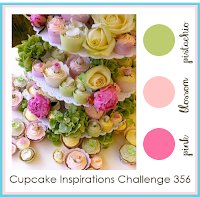 Check out the online store for some more inspiration and also for the current challenge. Para o Desafio #94 de Docerela clique AQUI. 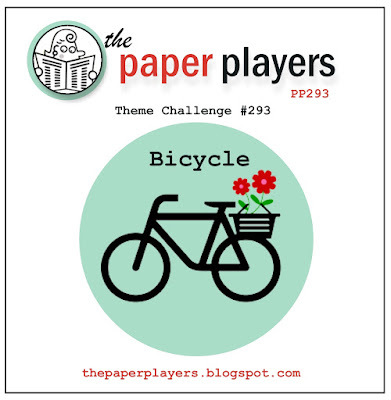 For the Docerela Challenge # clic HERE. Mais um postal de aniversário, desta vez feito com cores pastel e branco onde foi acrescentado ainda um detalhe em renda. Achei que lhe dava um toque especial! 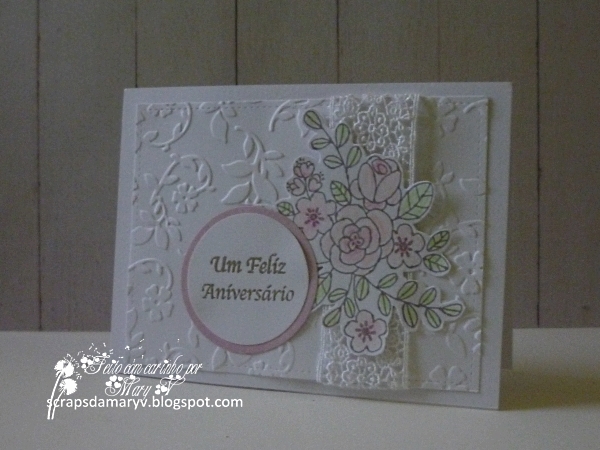 Just another quick post to show an anniversary card, this time made with a white on white feel, although the flowers are coloured with light pastel colours. 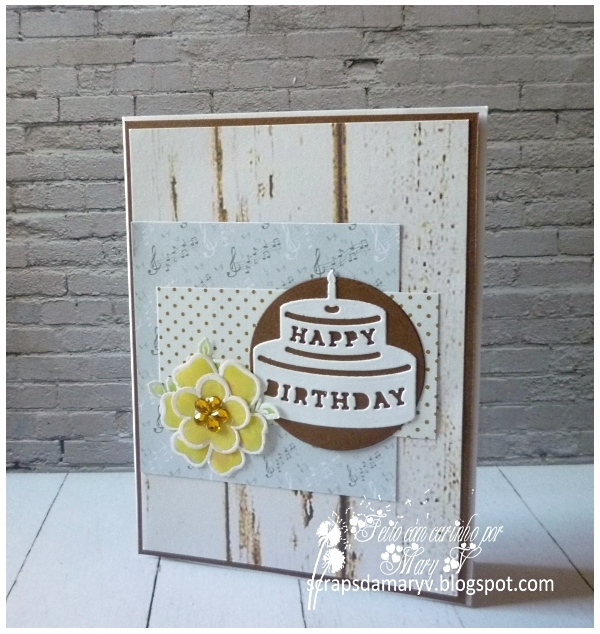 The lace in the back was just a touch I thought would go nicely with the style of the card. Este foi um postal de Natal feito com flocos de neve com cores pouco usuais. Na minha imaginação eles não precisam de ser brancos e frios, por isso decidi torná-los quentinhos dando-lhes cor. Para além disso, este postal está cheio de camadas de papel, quase como se essa camadas nos ajudassem a manter-nos quentes! 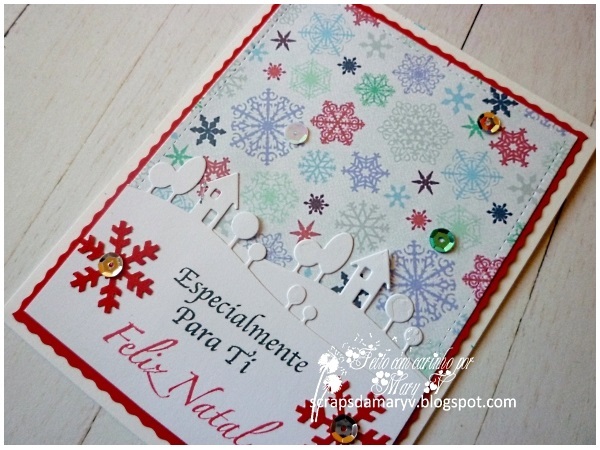 Here's a simple card made with unusually colourful snowflakes. Yes, the little things don't always need to be white and cold. In my imagination they turned out to be colourful and cozy. 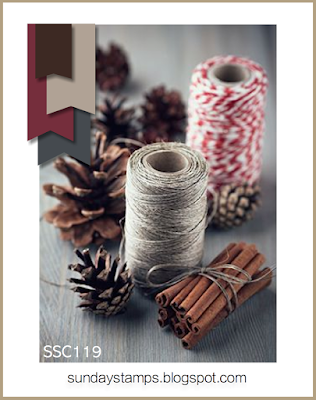 Besides, this card is full of layers, adding to the warmth on Christmas. Hoje mostro um postal cheio de cor, inspirado numa canção de Nat King Cole, "Smile". 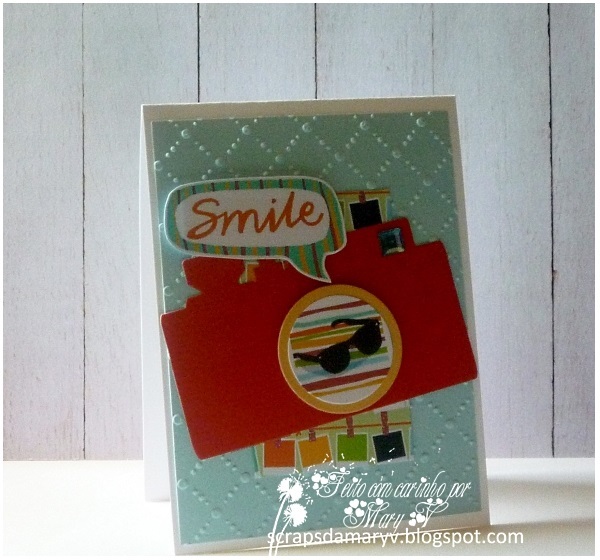 You'll see the sun come shining through for you"
Today I'm showing you a card inspired by a song by Nat King Cole, "Smile". 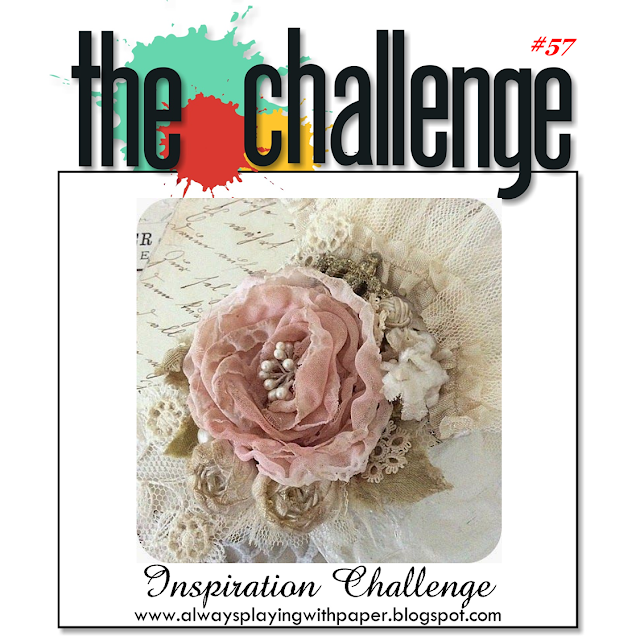 - The Shabby Tea Room Week #259 - "Picture This"